Over the last few weeks, the UFC has generated some significant controversy by releasing a handful of top-flight fighters from their roster. Some of the more noteworthy of these fighters are ranked light heavyweights Ryan Bader, Misha Cirkunov and Nikita Krylov and streaking welterweight star Lorenz Larkin. Perhaps the most talented and promising fighter of the bunch, however, was Kyoji Horiguchi, who at just 26 years old, had already fought for the UFC flyweight title, and amassed an overall record of 18-2. 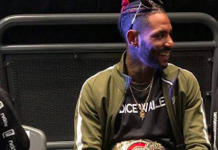 While the UFC’s willingness to let the fan favorite Kid Yamamoto protégé go is quite frankly baffling, the good news is that the popular Japanese star has already found himself a new home. As many expected, he’ll be returning to his homeland to compete in the ring of surging Japanese promotion Rizin Fighting Federation. 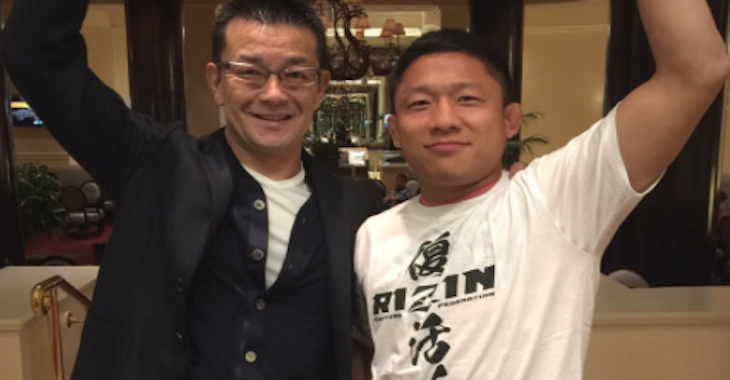 Horiguchi’s signing with Rizin was announced by the promotion’s head honcho, former Pride Fighting Championship boss Nobuyuki Sakakibara. The Rizin CEO made this announcement on his social media platforms. 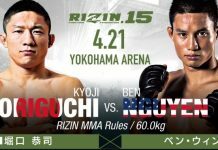 At the moment, it is unknown who will welcome Horiguchi to the Rizin ring, though his debut will certainly be worth marking on the calendar. Given his success under the bright lights of UFC, however, we can expect him to make some real waves in this smaller promotion. 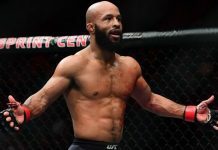 As a UFC fighter, Horiguchi went 7-1, with his lone loss coming against Demetrious “Mighty Mouse” Johnson, the only flyweight champ in UFC history and one of the most dominating fighters in the game today. Horiguchi’s wins, meanwhile, came against strong opposition in Dustin Pague, Darrell Montague, Jon Delos Reyes, Louis Gaudinot, Chico Camus, Neil Seery and most recently, a fellow former title contender turned free agent, Ali Bagautinov. How do you think Kyoji Horiguchi will fare in the Rizin Fight Federation ring? 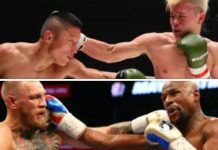 Who would you like to see the talented Japanese flyweight fight? Sound off, PENN Nation!